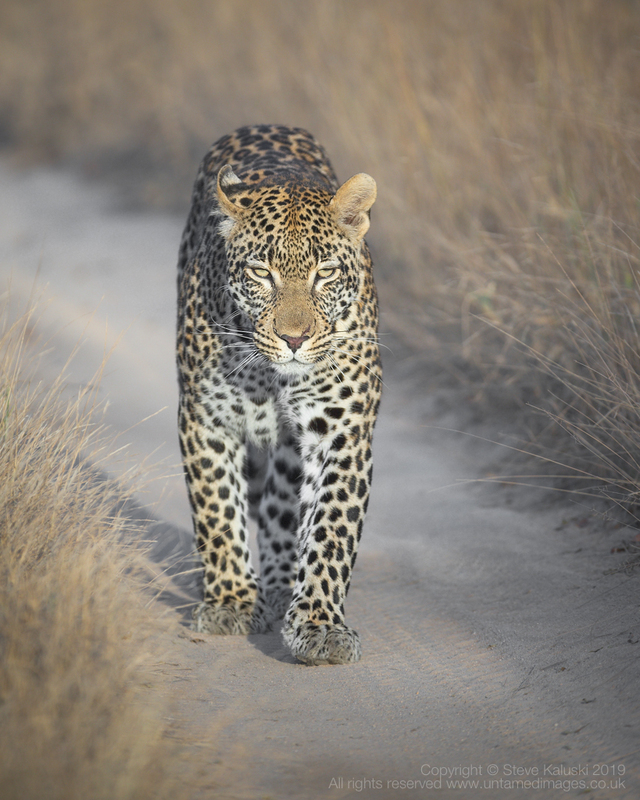 A different Leopard and location to the previous posting, however this gorgeous Leopard was out on an early morning stroll, using the sand tracks to conceal and mask any movement. I left the tyre tracks in, pointless to try and mask them. Well worth a click to see the nice detail in the lovely morning light, Steve. A beautiful cat on a mission, and I like seeing those strong forelegs and the fur cushioned paws. Nice one!